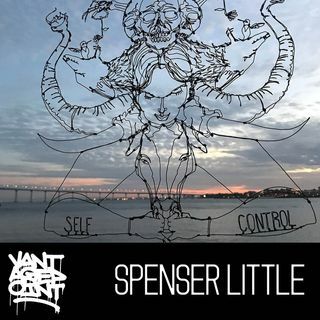 Spencer Little is one of the most exciting artists we’ve met on VantagePoint in a very long time. At 6 foot 5 inches and over 250 pounds he is a big dude but his size is not what impresses you most, it's his enormous personality, intelligence, and creativity that hits you from the first moment you meet him. His wire sculptures which are actually more like 3D drawings dripping in wit and satire, are constructed from one single continuous piece of wire without a sketch and are absolutely ... See More some of the most impressive and intelligent pieces of art you're bound to see. Little has been doing his own form of street art in southern California basically hidden away from the rest of the world for quite some time but we have a feeling you’ll be hearing a lot about him in the near future. We sat down with Spencer during PowWow Hawaii for one of the most psychedelic whirlwind interviews we’ve ever done that will bend your mind like a wire.